This may be my new favorite thing to do with crab, other than crab cakes…. It is quick and easy, yet decadent and savory – and completely different from anything I have ever tried. 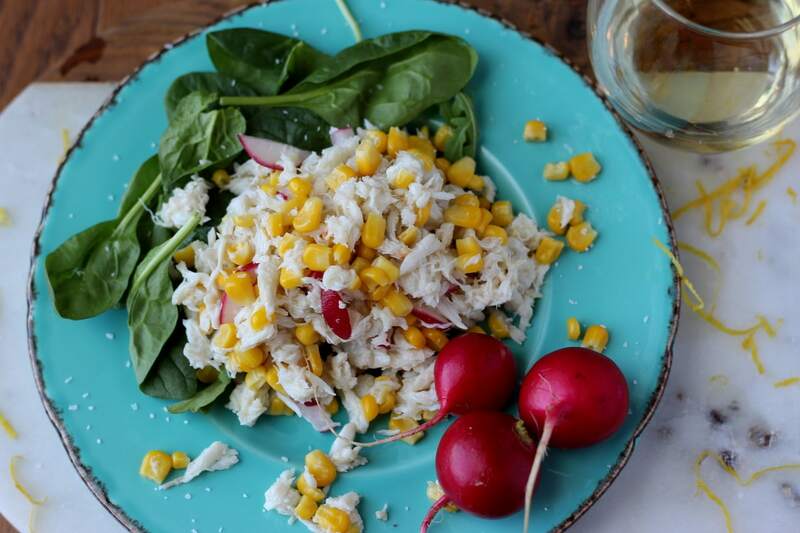 The radish and corn both add some much-needed crunchiness to the crab meat, along with the different texture of the spinach and arugula. The taste of the radish and crab were surprisingly complimentary. I combined some lemon juice and butter and loosely called it a vinaigrette (I think there is a law somewhere that demands that you must have crab and butter together) – it really was the finishing touch on this wonderfully fresh take on a crab salad.